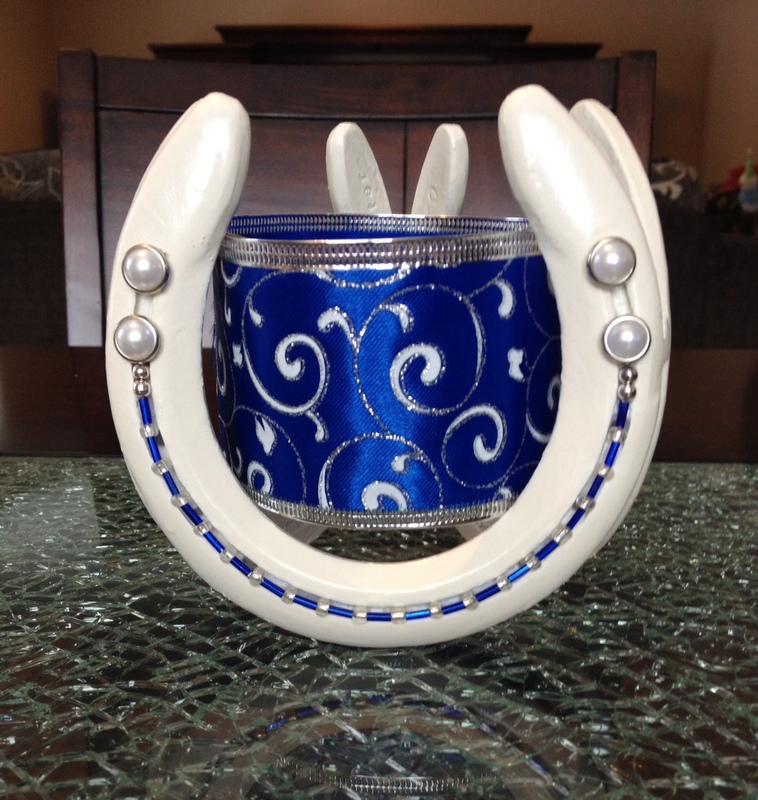 Ultimate in horseshoe elegance!! You can drop a vase into this centerpiece or a candle. Whatever you want! It's going to look good!! $45 plus shipping.